Help weave seagrass mats (transplant units) that will eventually be used to restore seagrass meadows in the Indian River Lagoon. 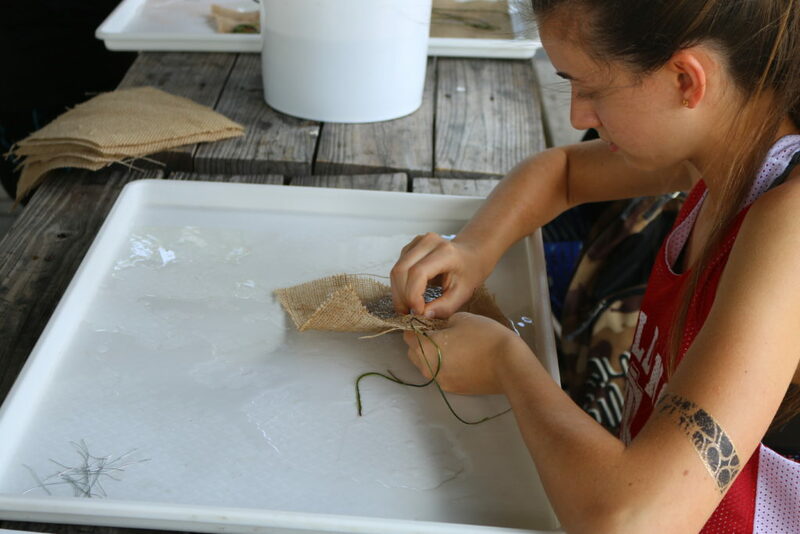 This project is an integral part of the Florida Oceanographic Seagrass Training, Education, and Restoration (FOSTER) program. To learn more about these efforts, visit our research page.